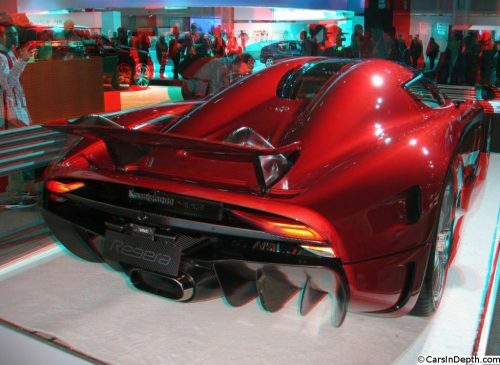 While the transmissionless don’t-call-it-a-hybrid Koenigsegg Regera is packed with fascinating technology, the gasoline-electric megacar’s tech is packaged in a sensuously shaped carbon fiber body. It’s one of those cars that you really have to see in person (or in 3D) to fully appreciate it. In particular, mono photography just can’t capture how radical the foldable, top-mounted rear wing is. 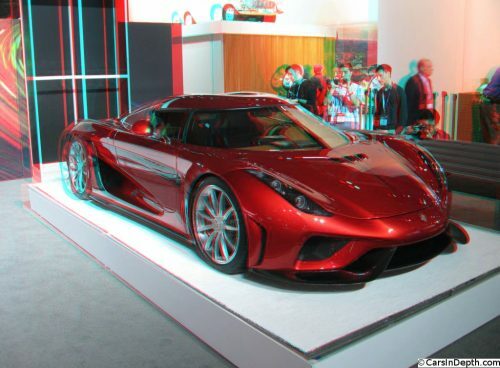 The front of the Regera is sort of standards supercar styling, dictated by aero, but from the cabin back it’s a collection of some of the sexiest curves you’ve seen on a car since the Jaguar E-Type. 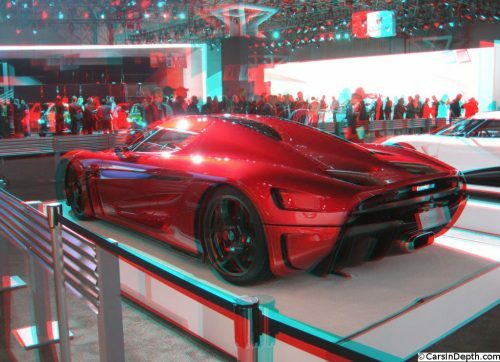 This entry was posted in 3D Imagery, 3D Photos and tagged Koenigsegg, koenigsegg regera. Bookmark the permalink.